They are alike in so many ways – in their features, attitudes, values, interaction patterns, perceptions… This line of attributes could be continued when talking about two different yet also similar persons in Latvian textile art and art education – llona Linarte-Ruža and Dace Pudāne. Twin sisters Ilona and Dace were born on 22 August 1962 in the family of Silva Veronika Linarte and Leonards Linarts. The girls built their futures around the core values that were passed on to them by their parents, applying them to social interactions with others and to a life spent in harmony with oneself. Both sisters have graduated from the Textile Department of the Art Academy of Latvia, exhibit widely and work as art educators, contributing to the continuity of artistic processes. 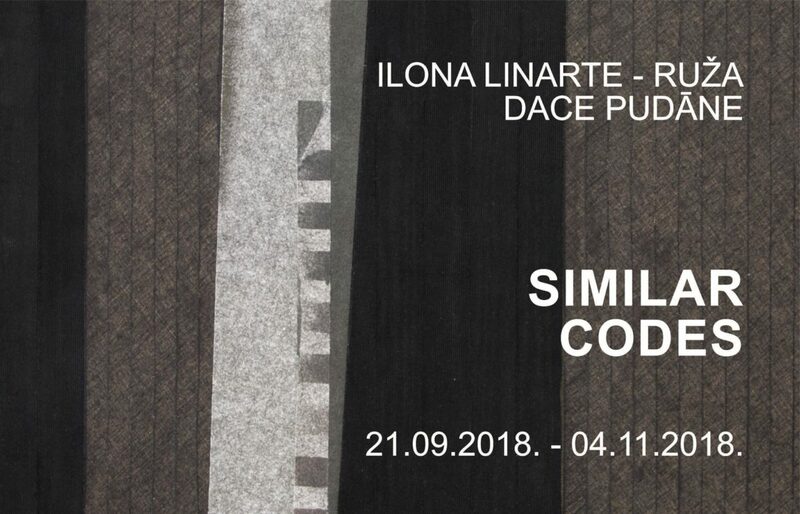 Compositional purity, minimalist colour scheme and geometric rhythm are some of the most characteristic patterns in the textile works of Ilona Linarte-Ruža and Dace Pudāne. Subtlety and elusive charm radiate from the rhythmic lines and areas that tend to be executed in different shades of grey and evoke melancholy, calm and composure – the very attributes that are so distinctly present in the artists’ personalities. Tiny sparks of bright colour flash across their textiles as delicate accents that allow the viewer an occasional breakaway from the manifold masses of grey. The colour grey is not the only thing that makes the sisters’ artistic codes so similar. It is also their genes, their family, their love of art and art education, and their selfless giving to every initiative that helps shape the art of the future both regionally and nationally.